Fish passage is now provided at the dam located downstream of Skaha Lake and salmon have regained access to the Penticton Channel area. 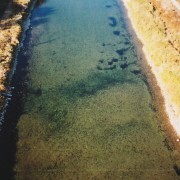 Salmon spawning habitat is currently extremely limited within the Penticton Channel, mainly due to river channelization in the 1950’s. The ONA is working in collaboration with provincial and federal agencies to restore fish habitat within the Okanagan Basin. The overall goal of the Okanagan River Restoration Initiative (ORRI) is to regain some of the river habitat quality and quantity that has been lost since the 1950’s; returning channelized river portions back to more natural conditions. The ORRI long term purpose is to improve water quality; to create self-sustainable, complex and diverse habitat for fish and wildlife; and to enhance human relation with the river ecosystem. The ORRI Phase I and Phase II were completed in Oliver, in 2009-2013. The next ORRI phases will take place in Penticton, starting this summer. This summer, the ONA aims the construction of two spawning platforms (No.1 and No.2) between the Okanagan Lake Dam and the Highway 97 Bridge. These platforms are nature-like features especially designed for optimizing salmon and trout spawning (gravel size, gradient, water velocity, etc). 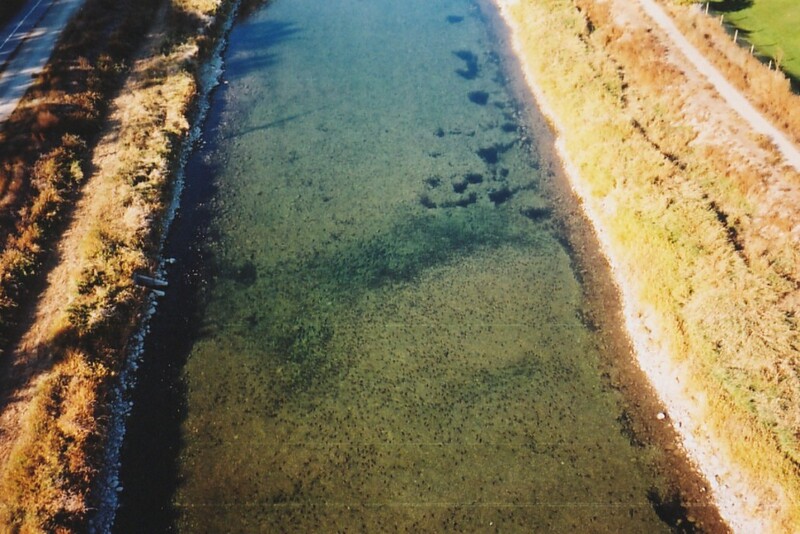 These spawning platforms are similar to the ones built in Oliver during the ORRI – Phase I. These platforms will also provide public viewing opportunities of salmon and trout spawning and reduce the abundance of introduced exotic species, like the Eurasian watermilfoil. The construction works are expected for mid-August to mid-September 2014, pending flow conditions, construction tender price, and fish migration timing.